Warner Bros. Pictures’ action adventure Batman v Superman: Dawn of Justice took the South African box office by storm on its opening weekend, earning more than R16 million from 137 screens in South Africa, with no signs of slowing down. 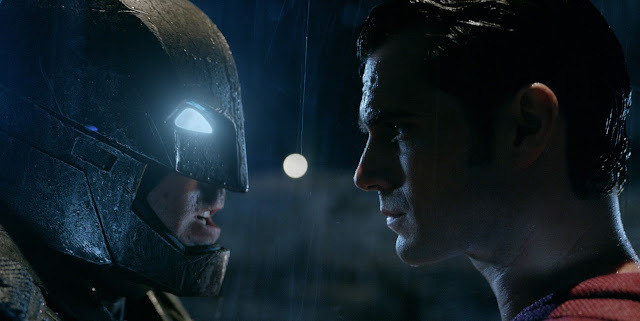 This makes Batman v Superman: Dawn of Justice the biggest Warner Bros. opening of all time in South Africa, the biggest March opener of all time and the second biggest 3-day opening weekend (Fri – Sun) behind Fast & Furious 7. Opening virtually day-and-date across the globe, director Zack Snyder’s highly anticipated follow-up to Man of Steel brings Batman and Superman together on the big screen for the first time in history, and is the very first feature film appearance of Wonder Woman, the third Super Hero in DC Comics’ iconic Trinity. From director Zack Snyder comes Batman v Superman: Dawn of Justice, starring Oscar winner Ben Affleck (Argo) as Batman/Bruce Wayne and Henry Cavill (Man of Steel) as Superman/Clark Kent in the characters’ first big-screen pairing. Fearing the actions of a god-like Super Hero left unchecked, Gotham City’s own formidable, forceful vigilante takes on Metropolis’s most revered, modern-day savior, while the world wrestles with what sort of hero it really needs. And with Batman and Superman at war with each other, a new threat quickly arises, putting mankind in greater danger than it has ever known before. Directed by Zack Snyder, the film also stars Oscar nominees Amy Adams (American Hustle) as Lois Lane, Jesse Eisenberg (The Social Network) as Lex Luthor, Diane Lane (Unfaithful) as Martha Kent, and Laurence Fishburne (What’s Love Got to Do with It) as Perry White; Oscar winners Jeremy Irons (Reversal of Fortune) as Alfred, and Holly Hunter (The Piano) as Senator Finch; and Gal Gadot as Wonder Woman/Diana Prince. Snyder’s behind-the-scenes creative team includes director of photography Larry Fong (300, Watchmen) and production designer Patrick Tatopoulos (300: Rise of an Empire), and from hisMan of Steel team, editor David Brenner, costume designer Michael Wilkinson, visual effects supervisor John DJ DesJardin, and Oscar-winning composer Hans Zimmer (The Lion King) working in conjunction with composer Junkie XL (Mad Max: Fury Road). Warner Bros. Pictures presents, an Atlas Entertainment/Cruel and Unusual production, a Zack Snyder film, Batman v Superman: Dawn of Justice. The film can be seen in IMAX, Dolby Cinema, 3D and 2D, and is being distributed worldwide by Warner Bros. Pictures, a Warner Bros. Entertainment Company. 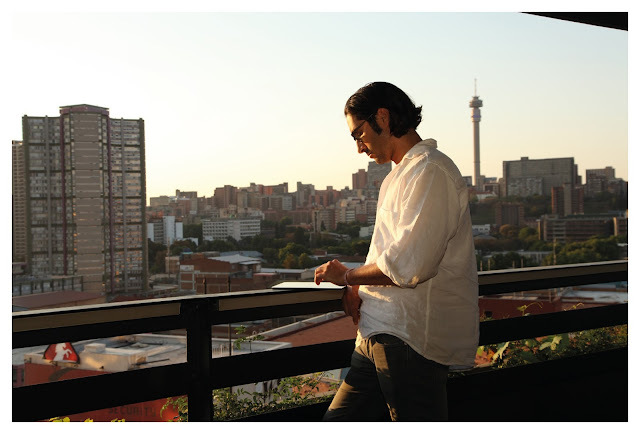 The film is sub-distributed by Times Media Films in South Africa. Check out batmanvsupermandawnofjustice.net and I can say for sure that it's neither Batman nor Superman who is the winner, it's the audience who has won by showering their love on all of DC Comics characters and have opened their hearts to Wonder Woman too! Attendants to the annual Mercedes-Benz Bokeh South African International Fashion Film Festival will not only be experiencing a fabulously fashionable event including, awards, film screenings and workshops but they will also be privy to an exclusive unveiling of a revolutionary 3-D printed clothing range from Modeclix. The dresses are created by Dr Shaun Borstrock from the University of Herfordshire in the UK in collaboration with Prof Mark Bloomfield from Electroboom and for the first time offer a wearable 3-D printed clothing range. The Modeclix collection, featuring eight dresses and two headpieces, is a major breakthrough in 3-D printing and garment technology. Previous 3-D printed clothes were very structured and rigid this new range from Modeclix is uniquely customizable and flexible, mimicking the movement and drape of fabric. 'Previous 3D printed designs have been mostly conceptual pieces that are solid, with little or no movement. We have strived to create stylish 3D printed garments that have sufficient movement to ensure they are fluid, eye-catching and comfortable to wear. These prototypes are made, dyed and finished by hand and our aim now is to produce them for a wider market,' says Dr Borstrock. Festival Director, Adrian Lazarus was elated, “It’s fitting that these “cutting edge” designs at the forefront of fashion, are revealed at the Mercedes-Benz Bokeh South African International Fashion Film Festival, as we strive to promote and award dynamic and awe inspiring designers and film makers.” With the theme of “bespoke” this year the unveiling of the Modeclix garments could not have a better platform. The Modeclix range will be revealed on the April 21st at the Mercedes-Benz Bokeh South Africa International Fashion Film Festival held at the V&A Waterfront. The collection will be available to view online from 1 May 2016 at digitalhacklab.herts.ac.uk and modeclix.com. It will also be available to view in store from 23 May 2016 at electrobloom in London. Looking forward to the same when the event comes to Johannesburg. Total South Africa will host their first Total French Street Festival at Melrose Arch on Saturday, 16 April and Sunday 17 April 2016. The festival is due to be filled with all things ‘French’ from fashion shows to antiques and perfumes. The festival has a jam-packed programme with the game of boules, exclusive wine masterclasses and the popular waiter’s race. Over the 16th and 17th of April, Melrose Arch will not only be the ‘food, wine and music spot’ -because it is not just about food and wine- it is going to be about all things je ne sais quoi; delectable foods, exclusive French and South African wines, haute couture and beautiful fashion, make-up and perfumes, antiques and art, French cars and endless entertainment. There is also a kiddie’s corner that will accommodate children for the day. · R695 for the very special Champagne Experience on the rooftop of one of the buildings in Melrose Arch where you can enjoy the very best French Champagne with oysters and canapès. Total South Africa is a subsidiary of Paris-based global energy group Total S. A. It is a leading energy solutions and petroleum company and is 49.9% locally owned. Total South Africa’s core business focus encompasses the manufacturing, sales and marketing of a range of petroleum products and lubricants for the retail, commercial, agricultural and industrial markets. With a portfolio pf over 530 service stations across the country as well as holdings in the NATREF refinery, Total is also a key player in the country’s petrochemical market. Television is evolving right alongside tablets and smartphones. The innovative televisions of today are built with connectivity at their heart. These TVs are tapping into the endless possibilities offered by the ‘Internet of Things’, by converging all of your technologies into one place. Smart TVs allow you to access the internet and smartphone from the comfort of your own couch. Similar to Moore’s law is Kurzweil’s Law of Accelerating Returns, which states that the capabilities of technology accelerate exponentially. The law can be clearly observed in the evolution of TV technology. TV in the 1970s was almost identical to TV in the 1950s, differentiated only by the presence of colour. Likewise, TV in the 1990s closely mirrored TV in the 1970s, being primarily distinguished by the addition of VCRs, cable, and video gaming systems as common accessories. Looking at the slow lurch of technological progress in the latter half of the 20th century, and it is apparent that the pace of change has been dwarfed by the improvements made in the past 15 years alone. The catalyst for these changes began once manufacturers were no longer shackled by the limitations of cathode ray tubes. No longer reliant on bulky tubes, the capabilities of TVs began to grow exponentially. Picture quality drastically improved, screens grew in size and production became more cost-efficient. For the first time, TVs were able to offer with more colors, smaller bezels, and thinner casings. It’s hard to imagine where television can go from here, but it’s clear that manufacturers are continuing to push the boundaries of what’s possible. LG Electronics, market leaders in consumer electronics unveiled a paper thin OLED television prototype that can be rolled up. Just as cathode ray tubes represented the turning point in television design, the unrivalled picture quality of OLED represents a similar turning point for TV innovation. OLED may prove to be the spark which causes TV technology to explode at an ever increasing rate. OLED’s superior picture quality and flexibility make it the perfect display format for the next generation of smart devices. From form-fitting wearables and rollable TVs to smart automotive displays and bending mobile phones, OLED technology has the potential to turn sci-fi concepts into reality. The technology that powers OLED continues to improve with each passing day, meaning that the OLED era is even closer than you think. 2016 is set to be a banner year for OLED technology. A strong showing at CES 2016 allowed OLED to establish itself as the leading format for the next generation of televisions. 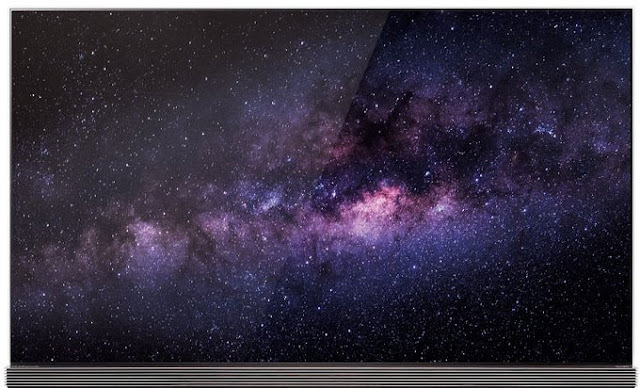 LG’s OLED line won recognition at CES and found its way on to many best-in-show lists. Fortune stated that OLED “has been the best of the best in the television world for the past few years – and it’s not slowing down this year. This rise in quality of television content has ushered in what critics have called, “The Golden Age of Television”. Critically-acclaimed shows like Game of Thrones and Breaking Bad have convinced viewers across the world that what’s on in their living room is just as exciting as whatever’s showing at the theatre. Who needs to visit the cinema when today’s Ultra HD TVs and OLEDs can offer comparable levels of quality? Why bother owning a separate stereo system when sound bars take up so much less space and sound just as good? The times are coming where your every breathe will achieve the state of Entertainment Nirvana! Adventures with animal heroes have been the theme of many Disney movies over the years and have been enjoyed by multiple generations. This March, just in time for the school holidays, Disney is celebrating their very latest and greatest animal-themed titles! The celebrations kick off with the release of Walt Disney Animation Studios’ 55th animated feature,Zootropolis in cinemas from 4 March in 3D. Zootropolis is a modern mammal metropolis, a city like no other. Comprised of habitat neighborhoods like ritzy Sahara Square and frigid Tundratown, it’s a melting pot where animals from every environment live together—a place where no matter what you are, from the biggest elephant to the smallest shrew, you can be anything. But when rookie Officer Judy Hopps (voice of Ginnifer Goodwin) arrives, she discovers that being the first bunny on a police force of big, tough animals isn’t so easy. Determined to prove herself, she jumps at the opportunity to crack a case, even if it means partnering with a fast-talking, scam-artist fox, Nick Wilde (voice of Jason Bateman), to solve the mystery. Shakira features as superstar Gazelle with a brand new song, and here’s the latest trailer. Disney•Pixar’s prehistoric family hit, The Good Dinosaur, will be available on DVD and Blu-ray from 28 March at retailers nationwide.The Good Dinosaur asks the question: What if the asteroid that forever changed life on Earth missed the planet completely and giant dinosaurs never became extinct? Pixar Animation Studios takes you on an epic journey into the world of dinosaurs where an Apatosaurus named Arlo makes an unlikely human friend. While traveling through a harsh and mysterious landscape, Arlo learns the power of confronting his fears and discovers what he is truly capable of. Be sure to stock up on the latest toys, books and stationery, as well as the DVD from The Good Dinosaur, as part of the Animal Adventures promotion. Until the end of March, Disney will be bringing together some of their greatest classic and contemporary animal-themed titles on DVD and Blu-ray into leading retailers nationwide. For a limited time at exclusive special prices, there has never been a better opportunity to share old memories and experience new ones with the whole family. Whether it’s the crazy miniature live-action antics of Beverly Hills Chihuahua or the Buddies series, to heart-warming classic titles such as101 Dalmatians, Lady & the Tramp, The Jungle Book and The Fox and the Hound – there is ample opportunity to be entertained together with the whole family. In addition, the perennial favourite, The Lion King, together with its sequels The Lion King 2 and The Lion King 3 will be available as part of the promotion! The Lion Guard begins as Kion, the second-born cub of Simba and Nala, assumes the role of leader of the Lion Guard, a group of the bravest and brightest tasked with preserving the Pride Lands. Instead of assembling a team of young lions to serve with him, Kion challenges tradition by calling upon friends he believes are the best choices – Bunga, a fearless honey badger; Fuli, a confident cheetah; Beshte, a happy-go-lucky hippo; and Ono, an intellectual egret. Stories will include special appearances by Mufasa, Timon, Pumbaa, Rafiki, Zazu and Kion's older sister, Kiara, the future Queen of the Pride Lands. Catch the The Lion Guard series weekdays at 18:30 from 18 April, only on Disney Junior (DStv, Channel 309). In addition, NUK has brought out a brand new range of The Lion Guard products for infants. Disney’s Animal Adventures promotion runs for the whole of March in leading retailers nationwide. 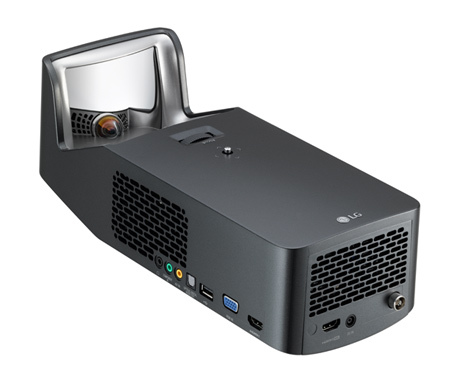 LG Electronics SA introduces a range of MiniBeam projectors designed to fit your lifestyle perfectly. What follows is the first article in a series of 10, covering prominent features of the LG MiniBeam range. The LG Minibeam projector is so portable and easy to carry that you can carry it anywhere with you,be it the next outdoor party or that family camping trip. Place it in your living room or bedroom and the LG MiniBeam series blends in where you need it and better still, it stands out when in use. To project a 100-inch picture, conventional projectors usually need to be positioned three to four meters from the screen or wall. This not only presents a problem for small living rooms, the power cord running from the projector to the outlet is unsightly and a safety hazard. What’s more, conventional projectors create a “no walk zone” in a large part of the living room between the projector and the screen. The LG Minibeam suffers from none of these limitations as a 100-inch display can be projected from a distance of only 38cm from the wall. This is only limited to the PF1000U. With built-in speakers, the LG MiniBeam provides crisp sound. The device is so versatile that you can also plug it into conventional speakers. It's not just portable, but stylish too. Not only is the MiniBeam's award-winning design compact and light but it also ticks the trendy box. You can Wirelessly stream sound directly from PF1500G and the PF1000U projector to bluetooth compatible sound system like home audio, headphone and portable speaker for a seamless listening experience. Simplified connectivity best describes the LG MiniBeam. Pop in a thumb drive directly into the MiniBeam and project your favorite movies without a PC. 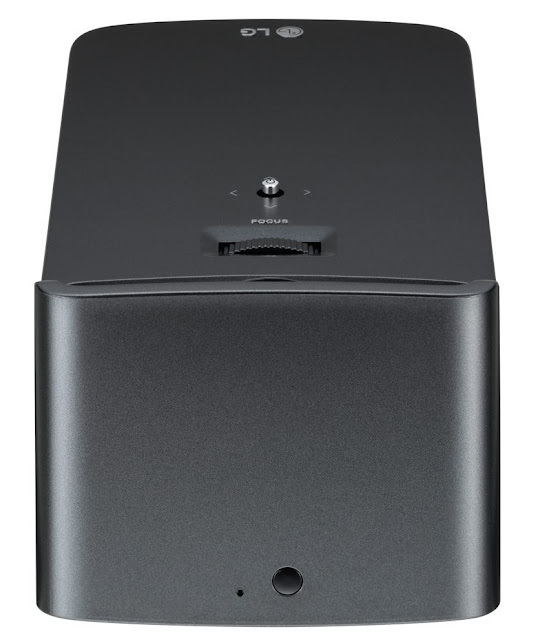 The MiniBeam provides a USB Host including DivX, MP3, Photo and Office file viewer.Connect smart devices with real time mirroring of data wirelessly (limited to PV150G, PW800G, PF1500G and PF1000U), or by connecting it via HDMI cable.Your LG Minibeam also allows you the option to view documents and PDF files through an embedded Office file viewer for your presentations. If you are an avid gamer and are always looking to thrill your friends with top-notch viewing then then the Minibeam is the perfect device for you. Gamers get the added gaming experience by projecting their games through the available HDMI port. This projector also delivers an incredibly detailed, high quality picture. The picture quality is enhanced by the Triple XD Engine, a chip that is the result of LG’s 50 years of experience in the television industry. 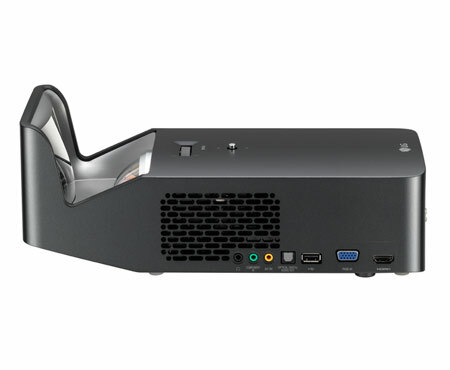 Able to display Full HD resolution (1920 x 1080), the projector employs a self-emitting RGB LED illumination system for the most natural shades and hues possible all the while running quietly at only 21dB in Eco Mode. Find your perfect size and take your viewing experience to the next level with LG’s MiniBeam projector range. Looking forward to receive an actual device and review the same soon. The long anticipated Samsung Galaxy S7 and Galaxy S7 Edge is now available at all Vodacom stores on a 24 month Smart Plan package for R599 and R699 respectively. In addition to this offer, Vodacom is sweetening the deal by exclusively offering it’s customers an additional 6 GB data deal, a D-Link speaker or a wireless charger and access to Deezer free music streaming. The Deezer subscription is free for six months on any plan and only free for 12 months to customers on the Red plans. 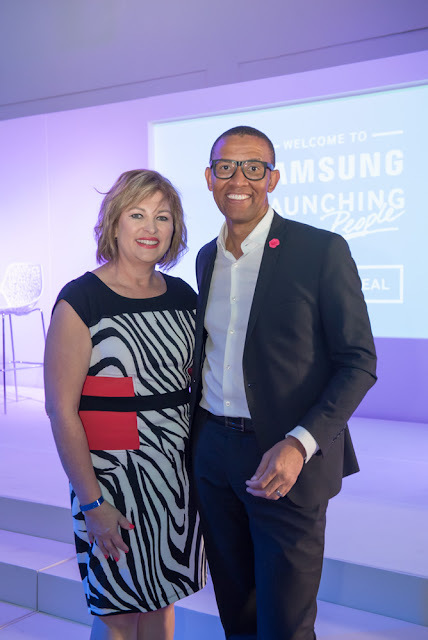 “This exclusive Vodacom offer of data, D-Link speaker or wireless charger and Deezer, will give our customers the advantage to explore the powerful performance of the Samsung Galaxy S7 with greater ease and speed, using SA’s Best Network”, says Davide Tacchino, Terminals Managing Executive. Created with today’s consumer lifestyle in mind, the Samsung Galaxy S7 and Galaxy S7 Edge is sleeker with a more refined design, advanced camera and streamlined software functionalities. The advanced camera delivers brighter and sharper images, even in low light. On the Galaxy S7 Edge, the advanced edge provides convenience and increased efficiency by creating easy shortcuts to users’ most loved functions such as email, selfie mode, panorama mode or third party applications. 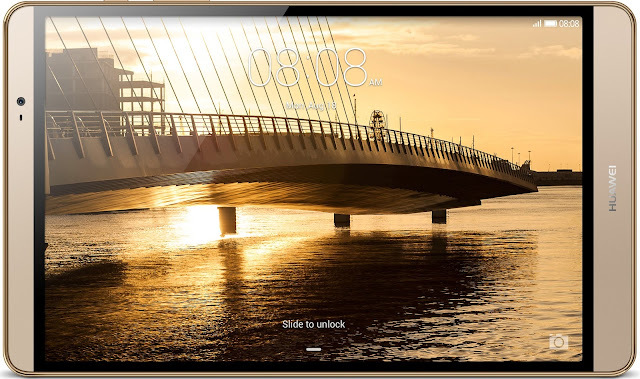 The powerful processor and bigger battery capacity ensure longer playing time, and the internal cooling system keeps the device from overheating. Game Launcher, a new add-on for gamers, allows users to manage battery consumption and minimize notifications. Microsoft Lumia and Uber broke a unique partnership to celebrate the release of new blockbuster Batman v Superman: Dawn Of Justice. The cinema event of the year sees two of the greatest comic book heroes, namely Superman and Batman, going toe to toe in Batman v Superman: Dawn Of Justice. 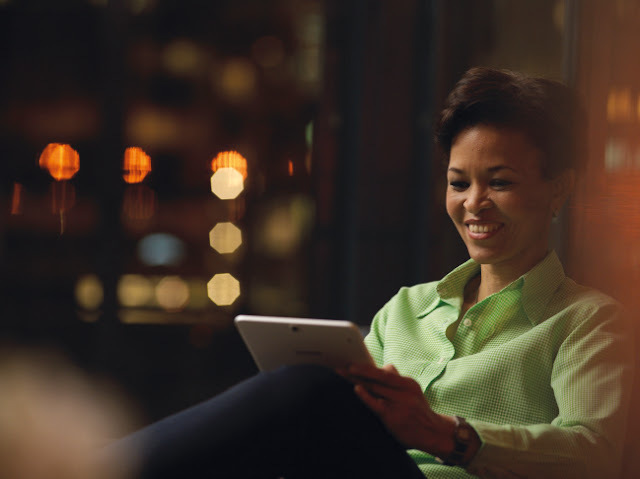 Microsoft South Africa has partnered with Uber and Warner Bros. Pictures to provide fans with a cinematic experience to match the phenomenal stature of this titanic clash. This chauffeured ride took them straight to the preview venue, where they were able to step into the shoes of Clark Kent by chronicling some of their favourite moments in the photo booth for possible inclusion in the social pages of the Daily Planet. Attendees also won some instant prizes in the Microsoft Lumia zone and set the stage for the evening’s main event by challenging their friends at the Xbox Station. People entered the same by opening the Uber app and entering the code LumiaBATMAN or LumiaSUPERMAN in the Promotions tab. Once done and when they Re-opened the app after 30 minutes you will see a fourth tab as your unique Super Hero view pops up. “We are so excited to join forces with Microsoft Lumia and Warner Bros. Pictures to give riders the chance to attend the exclusive preview of the epic show down of Batman v Superman. Thank you to our partners for this opportunity, we are always looking for new ways to enhance the Uber experience”, says Alon Lits, General Manager Sub-Saharan Africa Uber. This sweepstakes promotion was open to both new and existing Uber users who took a ride in Cape Town and Johannesburg. The 50 winners in each city were selected at random. “Warner Bros. Pictures is delighted to partner with both Microsoft Lumia and Uber on the highly anticipated Batman v Superman: Dawn Of Justice release. 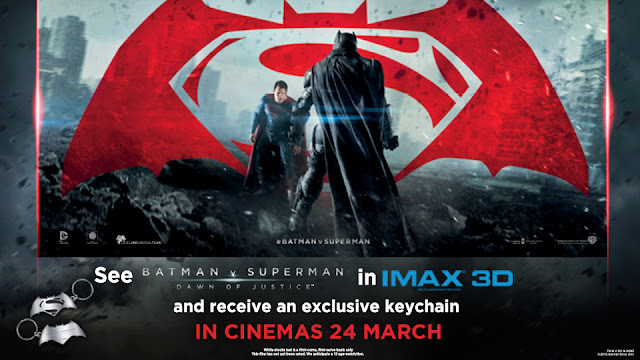 Our partners have come up with an innovative and very trendy campaign which suits the film perfectly, and consumers will love every interaction from catching a personalised Batman or Superman Uber ride to the activation to seeing the film before it releases nationwide,” says Sue Dickinson, Marketing Manager: Warner Bros Pictures South Africa. From director Zack Snyder (“Man of Steel”) comes “Batman v Superman: Dawn of Justice,” starring Oscar winner Ben Affleck (“Argo”) as Batman/Bruce Wayne and Henry Cavill (“Man of Steel,” “The Man from U.N.C.L.E.”) as Superman/Clark Kent in the characters’ first big-screen pairing. Fearing the actions of a god-like Super Hero left unchecked, Gotham City’s own formidable, forceful vigilante takes on Metropolis’s most revered, modern-day saviour, while the world wrestles with what sort of hero it really needs. And with Batman and Superman at war with one another, a new threat quickly arises, putting mankind in greater danger than it’s ever known before. Batman v Superman: Dawn of Justice is being releases by Times Media Films and released on cinemas nationwide on 24 March 2016. 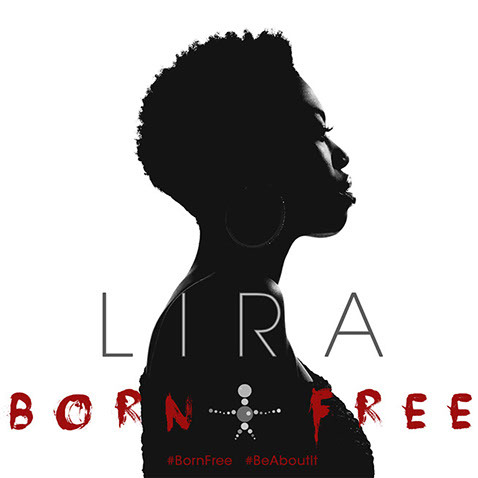 For only two nights this April, Gold Reef City promises to be filled with magic and wonder as Lira prepares to launch her new album, ‘’Born Free’’ at The Lyric on Friday, 8 April 2016 and Saturday, 9 April 2016. This is Lira’s 6th studio album and is already being declared as the soundtrack that will talk to the young South African generation. Powerful, definitive and inspirational are some of the words being used to describe the album that has been five years in the making. ‘’Born Free’’ masterfully blends a fresh new sound with the smooth urban style of music she has become famous for. Lira has described the compilation as her best record yet and believes that listeners will be able to hear the definitive growth and boldness that the album brings. For Lira, the significance of the title lies in the life challenges she faced while growing up. Defining freedom for herself and living it was an important aspect of her personal journey. In exploring this, the concept of born free became a catalyst for change, with the popular songstress wanting people to realise how powerful they are and that they can own their freedom. According to Lira, this album has become more than a body of musical work; it seeks to inspire and create change, physically and most importantly, mentally. “Lira is a multi-platinum selling and 11 time South African Music Award-winning Afro-Soul vocalist and we are thrilled to have her launch this much anticipated album at Gold Reef City. Audiences can look forward to Lira’s trademark musical fusion of soul, funk, elements of jazz and African flair and her prowess as one of our country’s most loved artists. Lira is a perfect example of just how remarkable South African music is today and we look forward to proudly celebrating one of our own at The Lyric”, says Gareth Kaschula, Marketing Manager for Gold Reef City. Lira’s album launch is a not to be missed event that will not only see fans witness a new direction for Lira but also promises to set an exciting tone for great things to come. Doors open at 07:30pm for 08:00pm. Tickets are sold at Computicket with prices ranging from R150 to R495 per person. There are also VIP meet and greet tickets available. Visit www.tsogosun.com/gold-reef-city-casino for more information. 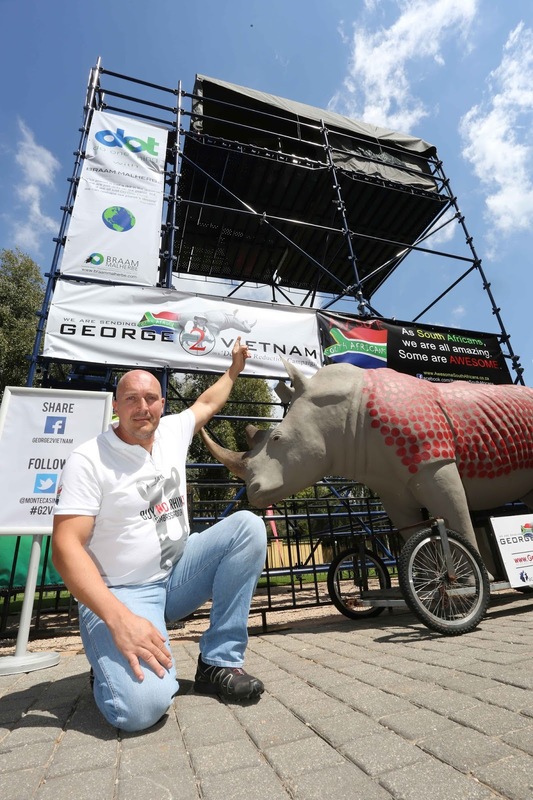 Wildlife activist, Anton Fouche will commence with his 32 day scaffold tower endurance stunt as a fundraising exercise for his George2Vietnam initiative, a “Wildlife Demand Reduction Campaign” geared at anti Rhino poaching. With the aim of raising R1 Million in 32 days, Fouche made his way up the scaffold tower located at the Montecasino Bird Gardens at 12h00 on 22 March 2016. 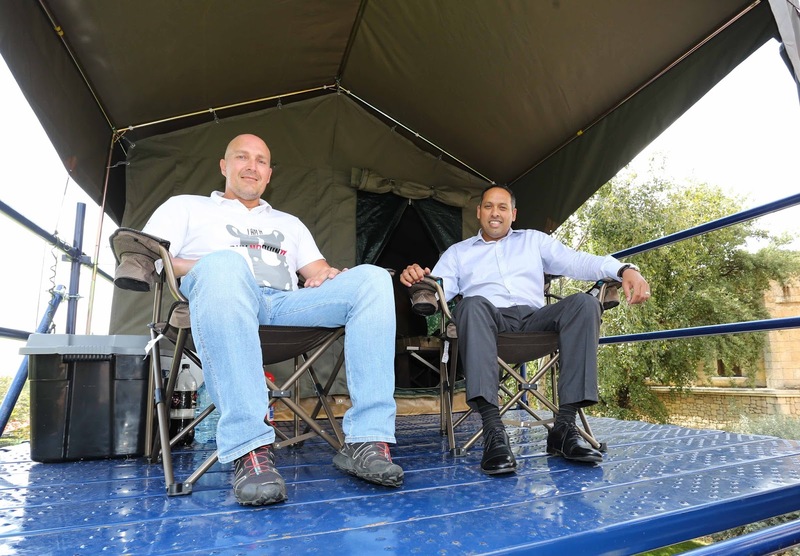 “SA Scaffolding sponsored the tower and Tentco sponsored the tent where I’ll live for a 32 days”, says Fouche. “I will come down on the 22 April 2016 or after I will raise R1 000 000, whichever comes first”. ‘George the Rhino’ will be situated at the base of the scaffold tower for visitors to ‘meet’ and take photographs with George. Anton has already pulled ‘George the Rhino’ over 2000 km across South Africa in the past 2 years for his original campaign: “Walking for Rhinos and Rangers”. 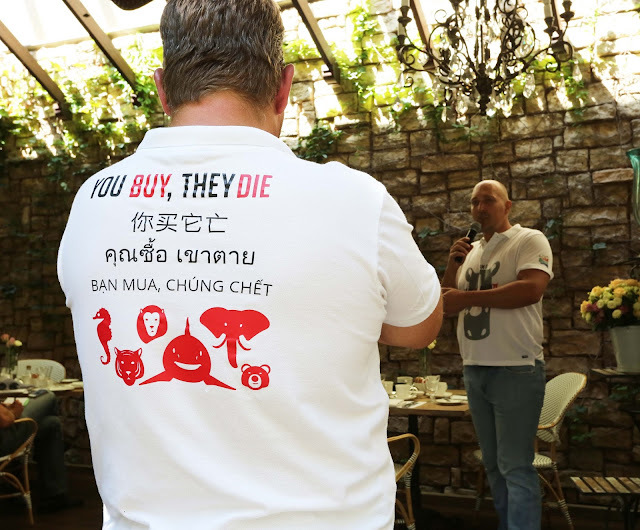 George2Vietnam is a campaign consisting of three phases to send Anton and ‘George the Rhino’ to Vietnam on a powerful visual Wildlife Demand Reduction Campaign. ’George the Rhino’ is a life-sized fiberglass replica of a white rhino and is set on a wheeled trolley. George has 1213 red dots painted on him which represent the number of Rhino’s that were officially poached in 2014. Stopping at schools and public events, his awareness campaign was simply to visually demonstrate how many Rhinos are being poached. After the money has been raised, Anton and ‘George the Rhino’ will travel around South Africa for two months in nine provinces. They will visit schools, malls and public events allowing South Africans in general to meet and take ownership of this campaign and add weight to his statement that ‘South Africans are sending George 2 Vietnam’. Inspiration to take George to Vietnam came from Vicky & Vanessa Wiesenmaeir’s cycling expedition from Hong Kong to Singapore in 2015 called “Buy No Rhino”. Based on the success they achieved in educating people in Vietnam, Anton decided to follow their path, except to take ‘George the Rhino’ with as an additional visual educational aid. Patrick Cromwell from Awesome South Africans give his support and assistance as well. “I founded Awesome South Africans because of projects of this nature. We need to highlight the awesome people of South Africa, give their projects more publicity and generally increase the morale of SA with stories of inspiration and positivity”, says Cromwell. “We are very excited to be welcoming Anton Fouche and ‘George the Rhino’ to Montecasino Bird Gardens. When it first opened in 2001, the bird park included an educational and rehabilitation centre and was primarily a “family-focused” entertainment offering. With the establishment of its own breeding facility In May 2010, it reached a new level of significance to conservation in South Africa and today is an important contributor to a number of preservation initiatives, including the Southern Ground Hornbill Project. We hope to inspire and encourage other businesses across all industries to do their part in contributing towards a more sustainable future whether implementing their own greening initiatives or supporting campaigns of this nature”, Glenn Joseph, General Manager, Montecasino. 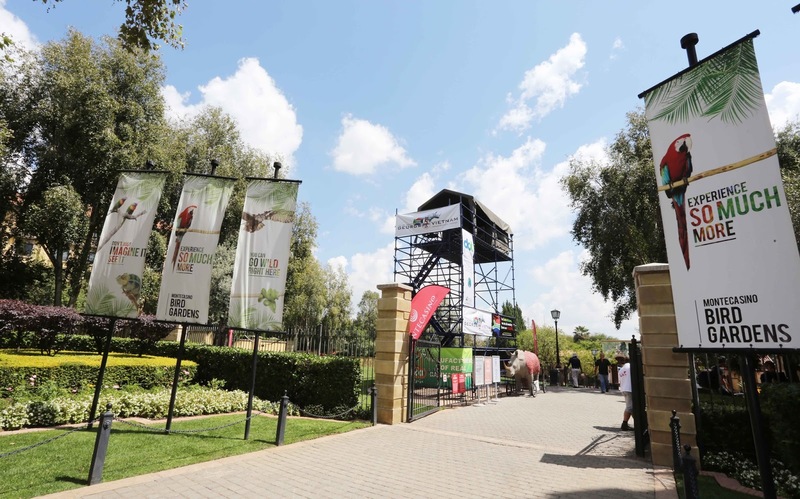 The public are invited to come and visit them at the tower which is located at the entrance of the MonteCasino bird garden.